A meal begins with a crusty loaf, presented with olive oil and oregano snipped at the table. Rustic pizzas from the wood oven highlight beautiful produce in season in special combinations. 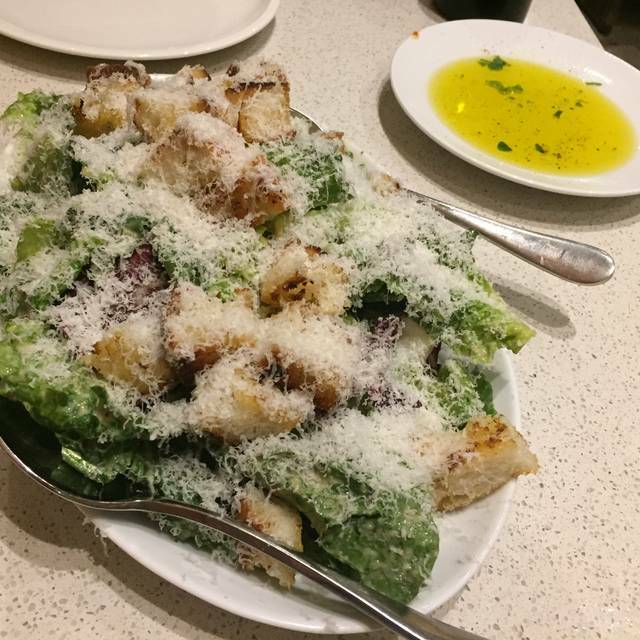 Caesar salad is tossed tableside in a shower of shaved parmigiano from a roaming cart, with the smell of toasted garlic croutons reminding you of how satisfying and memorable the classics can be. Cocktails are refreshingly uncomplicated – less about complex recipes and technique, and more about how unpretentiously perfect a spritz is on a July or December afternoon. A focused wine list celebrating Italian regional varietals and American wines with an old world sensibility. I was so excited to take my family here but everything about it was a disappointment. The wait staff was for the most part unfriendly. We waited half an hour for our waitress to come back and bring our bill. She never did. We had to ask someone else (twice) to bring it. The food was just average and our bill was exorbitant. I wouldn’t go back. Honestly the service is terrible here. Unfortunately it really is the only Italian option on the resort. But portions are not worth how expensive it is. I do not recommend going here. Go somewhere else. Don’t waste your money. Good atmosphere, food was decent but not outstanding. The consistently slow and mediocre service at this restaurant (and entire resort) is what brings the rating down. 15% auto gratuity seems to make for consistently poor service. Food comes out at different times, we had a dinner with six people and the last person finally got their meal after everyone else ate already, it’s absurd. No one is in a rush to help you. Delicious steak, pasta with lobster and fish stew were outstanding! Service wasn’t great - we had ordered appetizers, the shared caeser salad (marketed as a house specialty) and pasta as our meal. 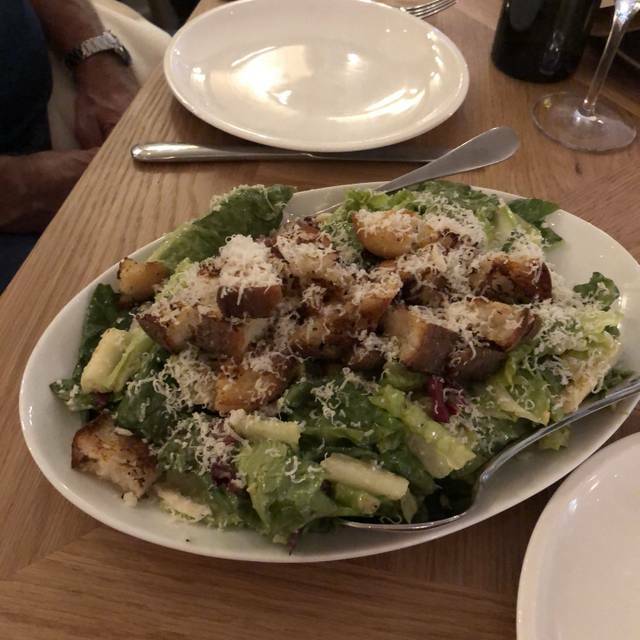 The salad didn’t come out; our pasta dishes arrived shortly after our apps had been cleared, and we sent them back asking that the salad be brought first. It then took another 10+ minutes to get the salad so I suspect it was never entered into the system by our waiter. Additionally, the waiter wasn’t great about monitoring our drinks / asking if we wanted refills, even though I had indicated I would want wine with dinner. The food itself was fine, though nothing spectacular. This was the hardest reservation for me to get during our stay at Baha Mar so I was really expecting to be blown away, but I think it was popular because it had some less expensive options for dinner so people were choosing it over the pricier steakhouse or seafood spots. 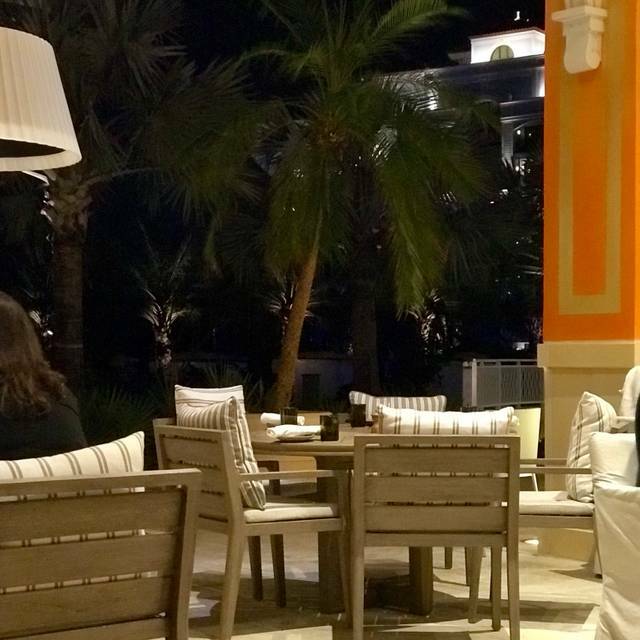 Like many restaurants at Baha Mar Fi’Lia is expensive and unremarkable. We hardly saw our server and the pasta sauces were quite bland. Cleo and Costa are better. My boyfriend and I dined here on our trip to Baha Mar. The service was okay and not as good or friendly as the other restaurants we dined at. However, the fried calamari and rigatoni bolognese were excellent. It is also very pretty in the restaurant. Nice spot to have lunch, quiet, great ambiance. The food was very tasty. Here on an anniversary trip. Service is the worst we’ve ever had. Everyone is rude and acts as if they are forced to be here. Worst night ever. Stay away. We had an 8 o’clock reservation and waited 45 minutes the two hostesses seemed overwhelmed and unprepared about how to seat people even though there were an occupied tables in the restaurant. Back up was finally called and people were seated -Most waiting between 30 and 45 minutes. It took a wild for our server to bring us water and bread and take cocktail orders. She was pleasant enough and the food was actually good. We had a lot of problems with small Nats buzzing around our table and we brought this to our servers attention who said “oh I noticed that in ”- I had to ask her to please go get some candles so that we might be able to drive them away from the food. Remember this is an inside restaurant so not quite sure what the Nats were from. One of our diners entrées were never brought and we asked several times where it was, finally she said oh they said you had it in the kitchen let me go check. At this point everyone else had eaten and we approach the manager to tell them we no longer wanted the meal into please remove it from our bill. also note that a service charge and VAT is added to the bill so I would advise not to tip unless you received over the top service which I found in any of these restaurants at the resort to be nonexistent . This was my first time here. I heard that this place was outstanding italian and to be honest I think it i a bit overhyped. 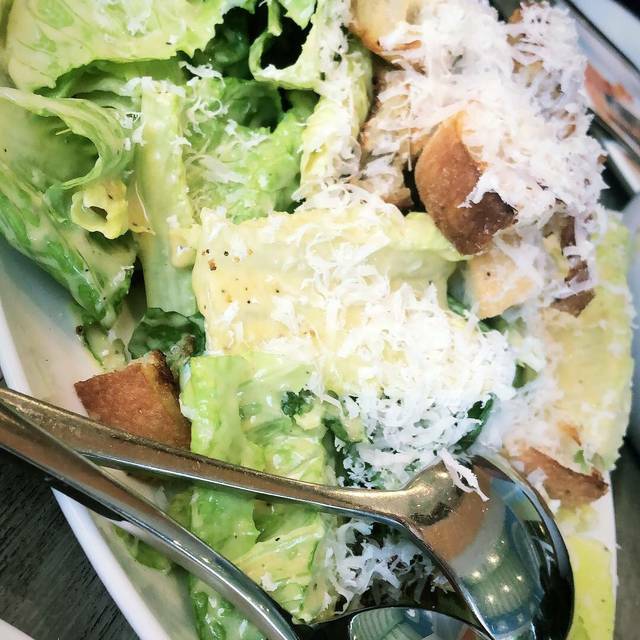 We got the ceasar salad which was good. then we got the chicken parm and meatballs. They were good but not too much better than average. I have had much better chicken parm for sure. But to be fair the food was overall pretty good I was just expecting more I guess. Also the service was just awful but most of the service at Bahamar is nothing special. Exceptional.... I’ll be back, the spicy pepperoni pizza was amazing !!! We were on vacation at the Baha Mar. YOU MUST BOOK RESERVATIONS AS MUCH IN ADVANCE AS POSSIBLE!!! We were with our children, ages nine and six. We love the ambience, but all of the restaurants are a little bit loud. The food was exceptional! 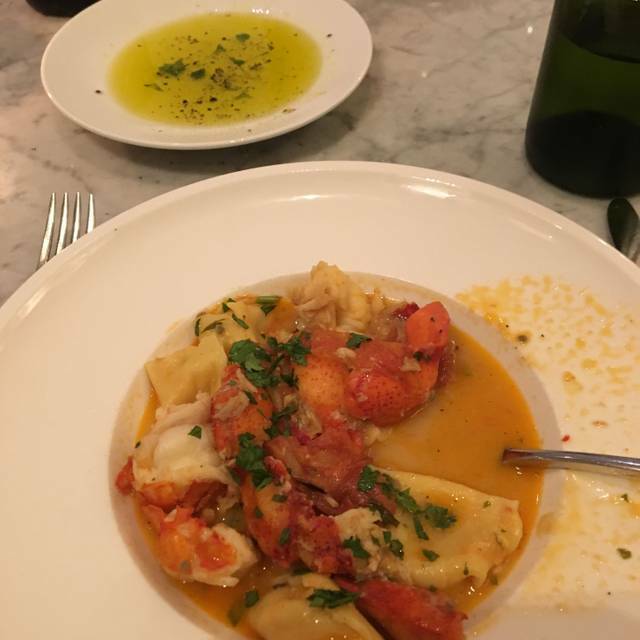 I think I had the best Branzino fish I’ve ever had, my husband ate the Rigatoni with bolognese and both children had the kids last and meatball. My ONLY negative was the restaurant was 65 degrees!!!!! Bring long sleeves and pants for children so you don’t have to endure the complaints! 🤣 otherwise, this was BY FAR our favorite of all the restaurants on the Baha Mar property. Service was rushed. Got our entrees before we finished appetizer. Rec. check before we were offered dessert. This was our 3rd time at restaurant in 1 year and it was uneventful. Shawn was an awesome server! Ask for him! We really enjoyed our lunch at Fi'Lia/Michael Schwartz/Disruptive at the Baha Mar Resort in Nassau. Our server was excellent without being obtrusive. We sat on the patio which is a little bit quieter than inside. Our food was well-prepared and we enjoyed our time there. 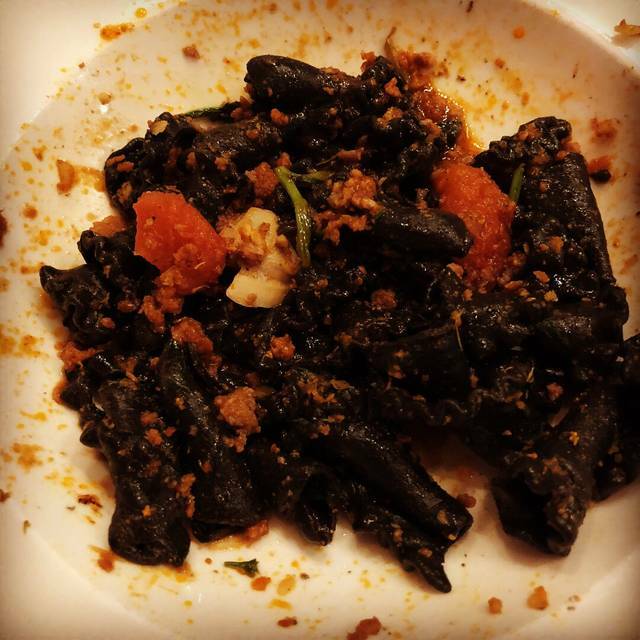 Just ridiculously terrible food. Even the server, although she was very good, seemed embarrassed by the food. The service was great, drinks well-made. Do NOT go. Open a can of Chef Boyardee! I am serious!! Food was cold and bad, overpriced and service was horrible. The couple next to us had food so bad their meal was free. It was my birthday and I never even got a “happy birthday” from the server. Absolutely horrible - save your money and go to Sbarro at the airport. We had a lovely dinner at Fi'lia. It is one of our favorites at BahaMar. We have visited Fi'lia many times over the past few months. Recently, the prices seem to have increased and it is now overpriced. The service has also become worse. The lady who greeted us was not particularly friendly and a little grumpy. The service at our table was very slow. We had to ask twice for things we had ordered. My father cannot eat gluten and the menu states "gluten free pasta." 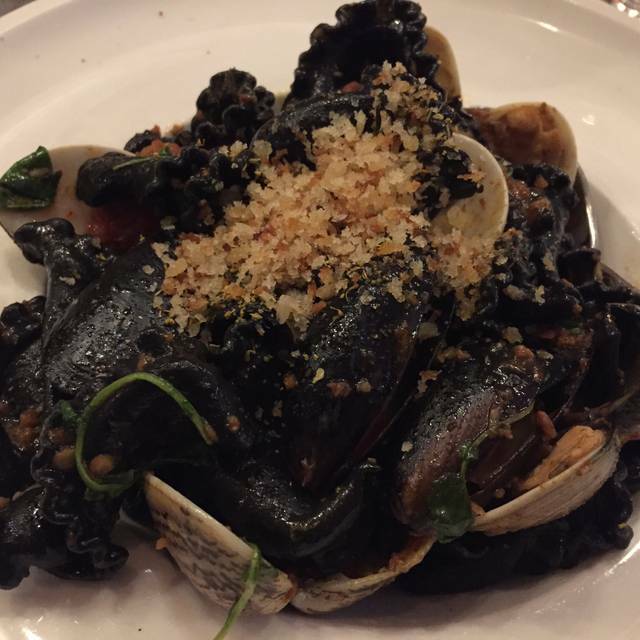 When he asked for a gluten free pasta dish, he was told that it wasn't possible. When he asked if there was anything gluten free, the waiter replied "no, Sir." The food at Fi'lia is fine it, but it (and the service) is not worth the money; there are many better options at Baha Mar. Nice relaxing atmosphere. We had lunch outside in the large shaded veranda. Aside from the host at the front desk, who did not even acknowledge us for about 5 minutes while she took down a reservation on the phone for someone a month out, the service was very attentive and friendly. The appetizers were very good. We got the chickpea fritters, caprese salad, and eggplant spread. 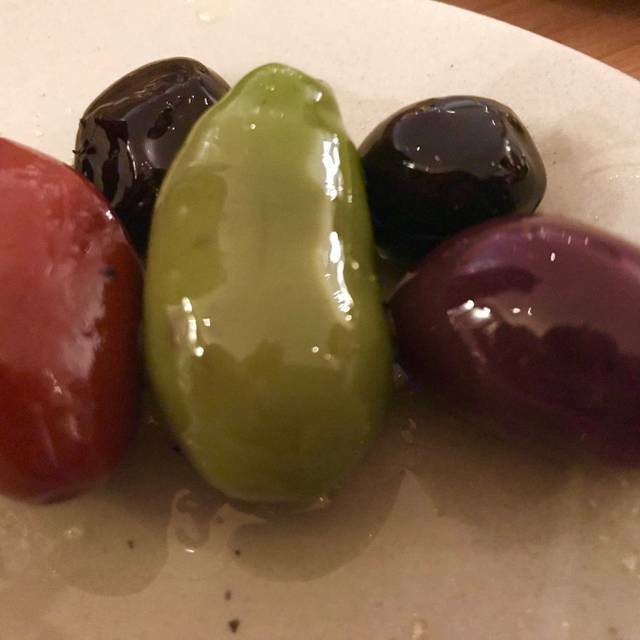 Would highly recommend the caprese and fritters; the eggplant was quite bland. All of the apps were a good size, easy to share. For mains we shared a Margherita pizza, Sam’s Chicken Parm, and Cauliflower w/ Pesto side. The chicken parm was a highlight, very delicious, and comes in a large portion, too big for one person to eat alone. These three were plenty to shared between three adults. All in, great lunch experience. My only regret is being too full to even think about dessert. This was a disappointment. To begin with, the front desk staff were disorganized and not welcoming. We had a reservation, but were seated very late. The food was not good at all. The Cacio e Pepe pasta was over cooked, flavorless and not edible. My husband’s pasta looked like a skillet breakfast. Finally, it was slow, far too loud to talk and the re-used our starter silverware versus bringing new. The food was just ok for pizza and pasta that we ordered that night - extremely overpriced for an ok meal. Hostess and server were unwelcoming. Have had better experiences at this restaurant in the past. Absolutely terrible hospitality displayed by this restaurant! We waited 45 minutes for our table to be pushed aside by manager and casino host for 4 kids on spring break. We will not be back! Kind of limited at Baha Mar when it comes to good dining options. This was decent, but in no way worth the price. Service was decent.